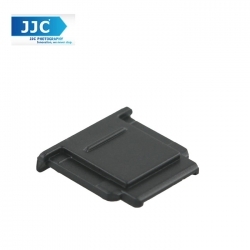 JJC HC-S hot shoe cover is designed for Sony cameras with Multi Interface Shoe. The shoe cover fits securely to your camera’s Multi Interface hot Shoe for protection from dirt and dust. It adopts a slim design and easy to pack yet tough enough to protect your camera shoe from knocks and bumps. It easily fits on your camera shoe so you can take it on and off quickly to add accessories such as a flash or microphone.